SUBANG JAYA: Corporate firm DRB-Hicom Bhd today pledged RM5 million to Deputy Prime Minister Tan Sri Muhyiddin Yassin to assist in the post-flood relief efforts in Kelantan, Terengganu and Pahang. The pledge is a special corporate responsibility initiative of the Albukhary Foundation and DRB-Hicom to provide humanitarian aid to help ease the plight of flood victims. “We hope these donations can help the victims temporarily; this was one of the worst floods in the country’s history and as responsible corporate citizens, we have to help out,” said DRB-Hicom group managing director Tan Sri Khamil Jamil. Khamil said the funds will be used to purchase starter-kits for schoolchildren in the affected areas, including school uniforms, shoes, stationery and school bags. “We will also provide kitchen appliances to the victims such as stoves, gas tanks, drinking water and foodstuff. We hope that we can help these victims regain their normal lives,” he added. The pledge was made at the Tan Sri Muhyiddin Charity Golf Challenge (TSM charity golf 2015) today where DRB-Hicom signed on to be the sponsor for the TSM tournament for two years, witnessed by Muhyiddin. 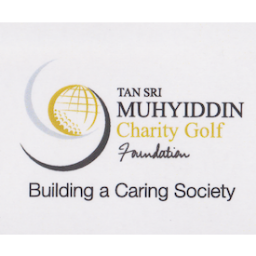 The TSM Charity Golf, which is named after Muhyiddin, is a non-profit organisation founded in 2003. Funds raised from the tournament are used to aid needy students pursuing higher education abroad. The foundation also subsidises dialysis treatment in inner-city areas and also provides relief to victims of natural disasters in the Asean region.